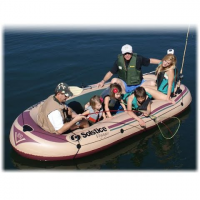 Venture into your favorite lake or pond with the Solstice SunSkiff inflatable boat kit. 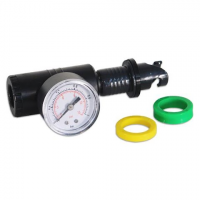 Features include heavy duty PVC construction and integrated oar locks. 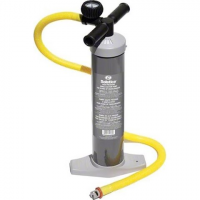 Oars and foot pump included. 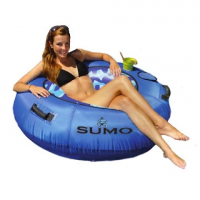 Experience the best of Spring and Summer water activities with the Solstice 48" Sumo Fabric Covered Sport Tube. 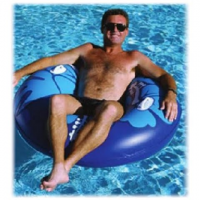 Features include an on-board drink holder heavy duty vinyl construction and rienforced handles. 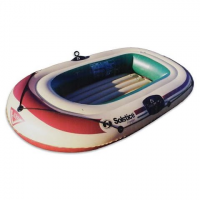 Hit the water in comfort and style with the RivieraRing from Solstice with a large 48-inch diameter size stylish Hibiscus tropical print and sturdy vinyl handles. 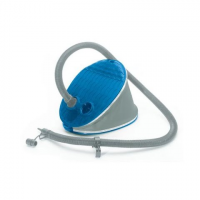 Are you ready for white water? 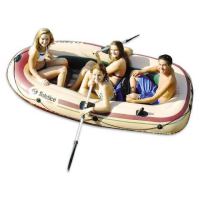 Well the Solstice Rogue Inflatable Kayak is! 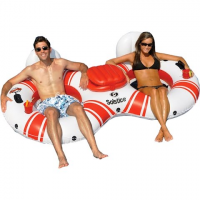 Just inflate this two-person kayak and take to the rapids! Durably crafted with an I-beam floor. Paddles not included. Double the size double the fun. The Super Chill Double River Tube from Solstice features two onboard drink holders as well as cooling and supportive nylon mesh insert seats. 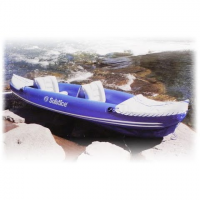 Head to the closest watering hole for some fun in the sun with the Solstice Voyager Series SportBoat. 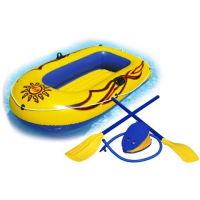 Features include four chamber double hull construction and heavy-duty PVC for enjoyment season after season.